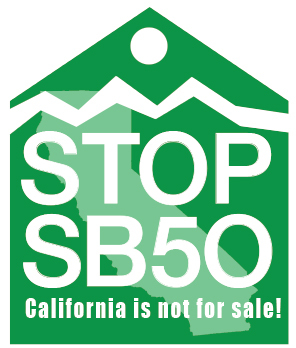 California CPUC is to blame for the corporate takeover of our streets. We need new leadership at the CPUP. This story ran in 2014. Matters have gone from bad to worse. The SFMTA turned public parking spaces over to the buses and now we dealing with more buses and TNCs. As the street parking disappears a new parking need arises for delivery services. Nothing the state, county, city agencies have done with the millions of dollars in federal, state, regional, county, or city taxes, fines and fees, has put a dent in the traffic problem. California citizens all over the state are calling for a halt in the failed projects until major changes are enacted to stop the flawed plans that are not working. RELATED: National coverage has been building on this subject for years. We now know a lot more about the “healthy economy” and it is unhealthy for most people. California Public Utilities Commission (CPUC) does not work for the public. At their last meeting they determined that because they are spending less money than anticipated on enforcement, the fees should be lowered on the Transportation Network Companies (TNCs) they are supposed to regulate. Cities have no way to combat this agency. The only thing they regulate is the routes and the stops. This is a perfect example of why we need to stop the state from usurping power from local governments. As the state legislature gives itself the right to regulate land use and traffic laws though such bills as Wiener’s SB-827 and 828, neighborhoods are being turned into futuristic holding cells for transients out to make a fast buck. They better grab fast, because they are killing the golden goose. Cities are crumbling under the weight of expectations and unrealistic priorities. California has a number of regulatory agencies that make the rules and enforce them at their own discretion. There is no separation of powers here. San Francisco’s Municipal Transit Authority has a similar problem. Too much power and too much money has a bad influence on performance. The process does not work for the public. It works for the corporations and their lobbyists who control the agencies. Because over 2% of the corporate bus trips cross into other local jurisdictions, they are regulated by the state. This encourages more regional traffic, not less, as TNCs scramble to grab those rides. Uber’s new CEO admitted that his company is in competition with Muni and wants to run the city bus programs. We need new cop in town and City Hall who can work some magic in Sacramento by taking back local control. As it stands now the only thing the voters can do is stop the flow of money into the coffers of the agencies until City Halls get the message that the plan is flawed and the citizens are not going to take it anymore. The next tax on the ballot for transportation will be the regional RM3 bill that would increase bridge tolls to pay for more of same. Fighting back means replacing people who are responsible for this untenable situation, and have not learned by their mistakes. It is one thing to posit an idea that doesn’t work. It is another to pretend like the world is your oyster when millions of people are suffering because of a flawed plan based on false assumptions. We now know that algorithms can be manipulated thanks to Donald Trump and the Mueller investigation that uncovered massive manipulations by facebook algorithms. Next time someone tells you they based a zoning plan or a traffic pattern future project on an algorithm run for the nearest exit. Computer models are only as good as the input. When there are no recent studies based on current conditions, the computer models are flawed and the algorithms meaningless. There is a new kid on the block intent on fighting back with renewed public outreach. http://brokenheartsf.com is taking on the buses that are ravaging the Noe Valley neighborhood. See the recent action at the last stop at 29th and San Jose. Marvel at the chutzpah of the huge empty buses as they head for the 280 freeway. State legislators need to take control the CPUC just as our Supervisors need to control the SFMTA. Let them know how you feel. SF City Hall and SFMTA used Uber and Lyft to kill taxis and attempt to remove cars. Now the ride-shares outnumber Muni. They created the Monster. Let’s see how they tame it. RIDE-SHARES TECH BUSES OR TAXIS AND PRIVATE VEHICLES: SFMTA welcomed ride-shares as their allies in their attempt to drive SF residents out of their cars. SFMTA removed and privatized on-street parking. Planning removed off-street parking from future developments giving developers a huge windfall in profits. Developers did their part by offering Uber and Lyft credits instead of on-site parking, jacking up the demand for car-shares. The demand for car-shares, created by the parties in their haste to eliminate private cars, is driving the number of car-shares and increasing regional traffic as the car-share drivers are coming in to drive us around the city. Don’t even get us started on the tech bus problems that are effecting everyone around the Bay Area not just SF. PARKING OR TRAFFIC: The parking problem for some is eliminated, but, there are more cars driving around NOT PARKING than there were before the parking was eliminated. Given the choice between parking and traffic, which is worse? You are going to have one or the other. Decide City Hall and clean up your act. RETAIL OR DELIVERY: Instead of private people running their own errands shopping in their own cars, and bringing their purchase home, we now have delivery services running those errands for us and double parking of delivery trucks all over town. You do want that pizza hot, don’t you? You can’t expect your new computer, TV, or stove to be delivered by bike. Those come by truck now. Instead of mail once a day, we have multiple deliveries a day from multiple sources, adding both traffic and double parking to our streets. We have replaced retail jobs with delivery jobs. Is that the kind of neighborhood and city we want to live in? Where we interact by digital media instead of human contact? How many jobs may be eliminated by robots? LOCAL SERVICES OR REGIONAL: We find that we have more traffic than ever pouring into the city. Many of our service companies, such as repair and construction crews used to work out of local warehouses and parking lots have been forced out and must now drive into the city to serve us. This jacks up the price of those services, many emergency in nature, electricians and plumbers, PDR and other businesses reliant on vehicles. Now your plumber must commute in to stop that leak. This leads to more damage and more costly repairs. Don’t even think about getting that roof repaired or your sidewalk attended to with any haste. Fast, cheap or reasonable remodels are a distant past memory. PLAYING THE GREEN CARD: For those of you who have not followed the history of this anti-car movement, we may direct you to the beginning, which started with a treatise and the uniting of a number of non-profits that run the city. Details are too many to address here now. There was an idea that by stuffing people into large dense cities you could somehow reduce greenhouse gases and save the planet. One the way to that perfect future plan, an amazing happened. The car manufacturers cleaned up their cars and the engines got more efficient, so we are using less fuel and polluting less in our cars. The cost of gas is also going down, as the demand diminished. Many alternate fuels are coming on the market. Thus the green card is no longer sufficient to fight cars. PLAYING THE SAFETY CARD: This brings up the need for a new reason to remove cars. Cars are dangerous. To prove that, most of the state and federal requirements for safety such as lane width, road signs traffic laws, have been altered to the point where few people even know what they are any more. This is called chaos. This is how the SFMTA really makes its mark on our city. No one creates chaos and hatred among the people on the streets like the SFMTA. They are geniuses at playing the safety card against us. Everything they do is geared to confuse and annoy us. Starting by turning our perfectly normal streets into battlefields of zones based on some strange markings that no one understands. They blame each accident on the lack of safety on that corner and target it for change. PLAYING THE CHAOS CARD: Now that we have animosity on the streets and mass confusion because of rules and regulations no one understands and confusion over the street markings, SFMTA decided it is time to really stir things up by “calming” our straight, easy to navigate and see lanes into movable targets. The days of warning when lanes are merging are over. If you don’t pay attention to the lanes curing in and out of bulbouts, parking, bike and red lanes, you are in trouble. All your attention must go to following the lanes and it is hard to pay attention to the lane changes and the pedestrians, bikers and others who think they have “the right of way” all the time. People who don’t live here can’t wait to leave. They are completely confused. WORST CASE SCENARIOS: It is one thing to design streets for everyday experience and assume that the power to the Third Street rail lights that “manage” the merging traffic on and off of rail lanes will always works, but, it is another to deal with the reality of unexpected emergencies and power outages. We understand that decisions have been made to ignore the warnings of our emergency respondors in favor SFMTA “specialists” and “experts” on how the emergency vehicles will deal with the realities of emergencies as they arise and become stuck in traffic, or, worse yet, cannot reach fires in high rise properties due to the fact that they have been downsized. According to then Supervisor Wiener, the Fire Department should purchase smaller vehicles capable of handling the narrow streets. Someone must be held accountable when there are repercussions to these short-sided decisions. THE AFTERMATH: In the haste to remove cars from SF streets, SF invited in the newest tech and anti-car planning teams they could find. They failed on all counts. By any metric or measurement you care to name, the entire program is a failure. We have a much worse regional traffic problem than before. We have a lot more vehicles on our streets. We have many infuriated drivers and Muni riders, removed off-street parking and building owners are offering Uber and Lyft credits to lure in tenants of those parkless housing developments. Why should anyone be surprised that Ubers and Lyfts are replacing the traffic the city used them to eliminate. WHO DETERMINES THE FUTURE OF OUR CITY: The public needs to speak up and let City Hall know how they feel about these issues. The plan is flawed and it is up to us to demand an examination of the flawed plan. Hearings are being called. We will be alerting you to those hearings. Please write letters and come to speak out at the hearings if you can. What is your solution to solving this problem? After many delaying motions on the part of the defendants, the trial was finally held on November 13, 2015. The pilot program was scheduled to end on January 31, 2016. Judges are supposed to rule on cases within 90 days of the trial. But Judge Wong did not issue a ruling until April 28, well past the 90-day deadline and after the adoption of a “permanent” program, of sorts, to replace the pilot program. At the time of publication it is not known if plaintiffs will appeal. keep that 8500 figure in mind as it is interesting to note that figure comes very close to the number of homeless people on the streets and the number of residents who have been displaced from their homes. Last Call is right. Who is going to respond on Fourth of July? And who is going to read the response? San Francisco will close its first survey on the controversial “hub model” for private commuter shuttles today. The shuttles, locally nicknamed “Google Buses,” are perhaps best known for ferrying technology workers to Silicon Valley. If created, where in The City would the shuttle hubs go? The results were more than 900 answers suggesting neighborhoods across San Francisco to host these new “shuttle hubs,” as of July 1. The San Francisco Examiner requested early results to showcase where residents opinions before the survey closed. San Franciscans suggested many neighborhoods to host commuter shuttle hubs in an online survey by the San Francisco Municipal Transportation Agency. The Examiner compiled the most numerous suggested neighborhoods here. Some people suggested “none” and opposed the notion of shuttle hubs, which is included in the tally. Note: The survey completes July 4, this list was compiled July 1. The results are preliminary. Responses via SFMTA, compiled by the San Francisco Examiner. If you feel like you got left out of the survey you might write a letter with your suggestions to the SFMTA Board and the Board of Supervisors explaining that you got the message to late. Here is a shuttle-bus-hubs1 letter with recipients to inspire you. LOS GATOS – It’s hardly the open antipathy tech shuttles have faced in San Francisco or Oakland. No one is blocking the sleek vehicles, deflating their tires or crying out that the Google bus is a symbol of gentrification that must be stopped. The private shuttle buses are not just a problem in San Francisco. The problem is much more widespread and more reason to control it at the state level. Some of the biggest tech companies in Silicon Valley use private buses to shuttle their employees to and from work, but records obtained by the NBC Bay Area Investigative Unit reveal a growing problem that could put other commuters in danger. An employee perk at some of the world’s most well known tech companies is at the center of a heated debate over fairness and convenience. While the buses aim to take thousands of cars off the road, traffic records obtained by the NBC Bay Area Investigative Unit revealed a growing problem that could put other commuters in danger. An environmental suit against San Francisco’s commuter shuttle pilot program, known commonly as “Google buses,” was thrown out Thursday in San Francisco Superior Court. Superior Court Judge Garrett Wong ruled the suit “moot” after a half-hour hearing Thursday afternoon, dismissing the case because the original pilot program – which the suit was filed against – has ended. The new program was “different enough” to render the original suit moot, defendant’s attorneys argued. With his ruling, Wong sided with San Francisco and a range of defendants representing tech companies that run private shuttles from The City to Silicon Valley, including Apple, Google, and Genentech. “There’s no reason to have [the suit] anymore because of the [new] commuter shuttle program,” said Audrey Pearson, a deputy city attorney. The suit was filed by plaintiffs Coalition for Fair Legal and Environmental Transit — including the local SEIU 1021, housing advocate Sara Shortt and union organizer Alysabeth Alexander — in 2014, arguing the San Francisco Municipal Transportation Agency failed to study environmental impacts of the shuttles under the California Environmental Quality Act, including emissions from the shuttles. No matter where they roll, the infamous “Google buses” seem to draw controversy. Plans to place private commuter shuttle stops on Dolores Street stalled Tuesday at the San Francisco Municipal Transportation Board of Directors meeting after neighbors decried relocating the stop to that area. But other relocations to commuter shuttle stops were approved — on 16th, Fell, Powell and Gough streets, for instance — because of prior-approved policy by the SFMTA to direct vehicles off of smaller streets. And because the Supervisors didn’t show up to protest them. SFMTA planners will instead conduct a monthlong study of moving the Dolores Street stops to nearby Guerrero Street, which has weight restrictions that would prohibit shuttles. However, the SFMTA will now study why those restrictions — instituted long ago — were created, and if they are still necessary. More stops will need to change in future meetings as well, said Tom Maguire, a planner at SFMTA. Wait a minute. Isnt’ that the argument the people opposing the tech buses have been using agaisnt them? It is ok for some streets to have a sea of buses but not Dolores? Is this a NIMBY comment by an anti-NIMBY? “I think the overarching issue is safety,” said John Giordano, a neighbor who lives on Dolores Street. He noted the SFMTA should study Dolores Street for weight restrictions similar to Guerrero Street, because Dolores Street has steeper grades, unprotected crosswalks without stoplights, and narrower lanes. Not steeper than the streets in Noe Valley where the buses get stuck and can’t turn. Supervisor Scott Wiener scolded the SFMTA board, telling them that outcry from neighbors is a direct result of tech shuttle opponents sweeping shuttles off narrower streets. “There was a lot of pushback that they should only be on arterials,” Wiener told the San Francisco Examiner. Restricting shuttles to arterials, he said, “means an enormous number of shuttles is on the arterials, instead of dispersing the shuttles” throughout the neighborhoods. Comments at the source are strongly encouraged. Be sure to read a few so you can enjoy the irony of who is complaining now about tech buses. A private shuttle provider for multiple tech companies including Zynga and Cisco may no longer use Muni bus stops and other public curb spaces, following continued violation of city provisions. Bauer’s Intelligent Transportation, a tech shuttle provider, was denied a permit to use Muni bus stops and other public curb spaces this week following a public battle with the local Teamsters union. That caused the company to run afoul of the San Francisco Municipal Transportation Agency’s “Labor Harmony” provision, which was drafted by the agency and the Board of Supervisors last year. Bauer’s also repeatedly violated terms of the Commuter Shuttle Pilot program, according to a letter from SFMTA to Bauer’s obtained by the San Francisco Examiner. The program was extended by the board in February. “This is the type of company we don’t want operating on the streets,” said Rome Aloise, principal officer of Teamsters Local 853.